Preheat oven to 400˚. Place bread slices on an ungreased baking sheet. 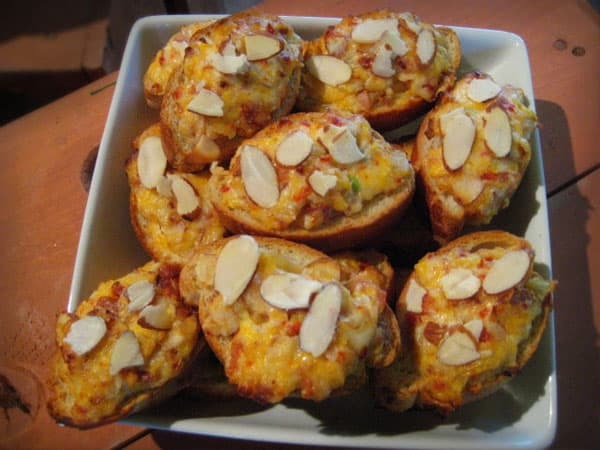 In a large bowl, combine cheese, mayonnaise, S&J almonds, bacon, onions, tomato bits and salt. Spread over bread. Bake for 9 minutes or until cheese it melted. Sprinkle with additional almonds if desired. Serve warm.